There are two photos blended into one this time. 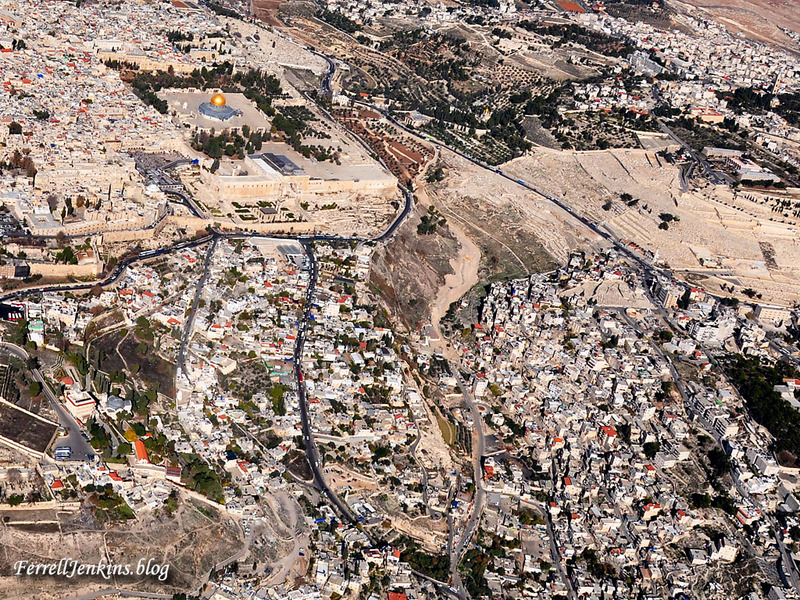 This is an aerial photo of the Jezreel Valley. 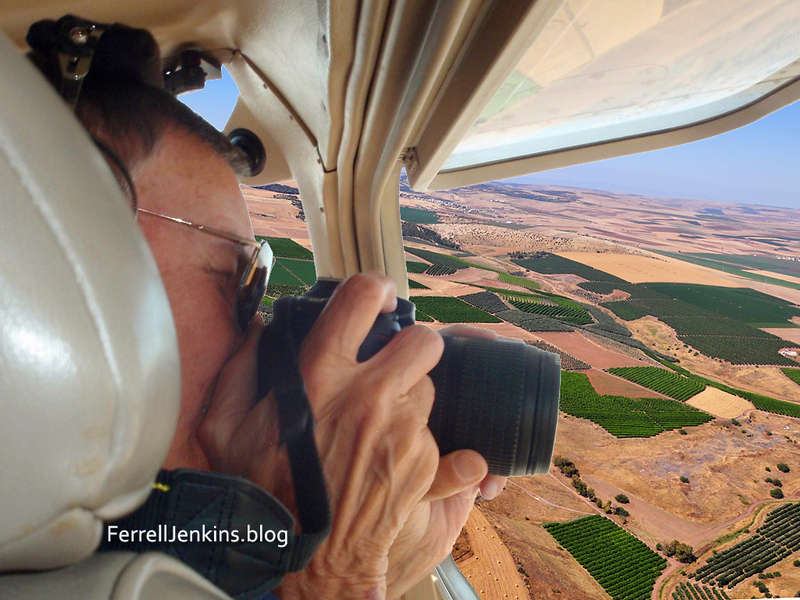 Larry Haverstock took the photo of me making photos of the Jezreel Valley, but the beautiful valley was unavoidably washed out. I took one of my photos of the valley and replaced that part of the image. Photo by Larry Haverstock and Ferrell Jenkins. 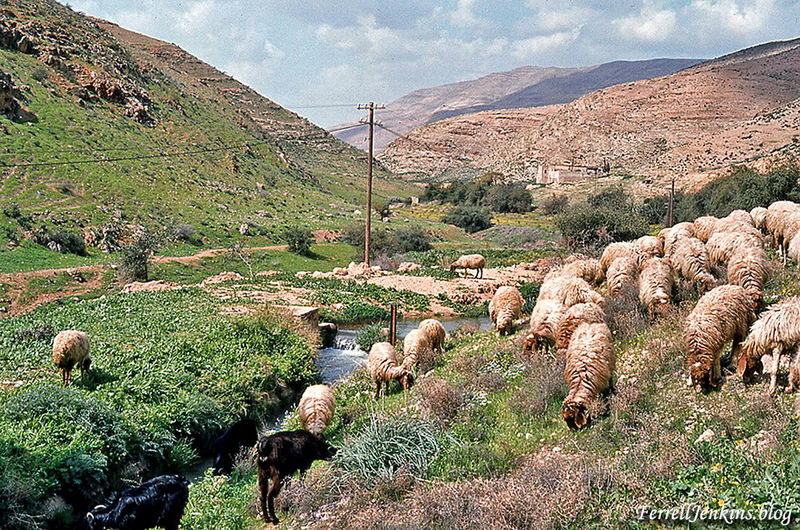 Traveling in the Wadi Farah (or Faria) in 1982 with the late Jimmy Cravens of Tampa, Florida, we came upon a shepherd moving his sheep from one side of the road to the other. This scene calls to mind Psalm 23. Sheep in green pastures, beside still water, in Wadi Farah. Scanned from slide made by Ferrell Jenkins in March, 1982. This scene is located in a region often called the West Bank, part of the Palestinian Authority. The Wadi Farah leads from near Tirzah to the Jordan Valley. Biblical characters such as Abraham and Jacob likely used this route to travel from the Jordan Valley to Shechem. The apostle Paul speaks of pressing on toward the goal. Many writers take this as an analogy based on runners in a race. Since reading the comments by classicist E. M. Blaiklock in Cities of the New Testament, I am inclined to think that Paul is speaking of the chariot races that were common in the Roman empire. Read more here. 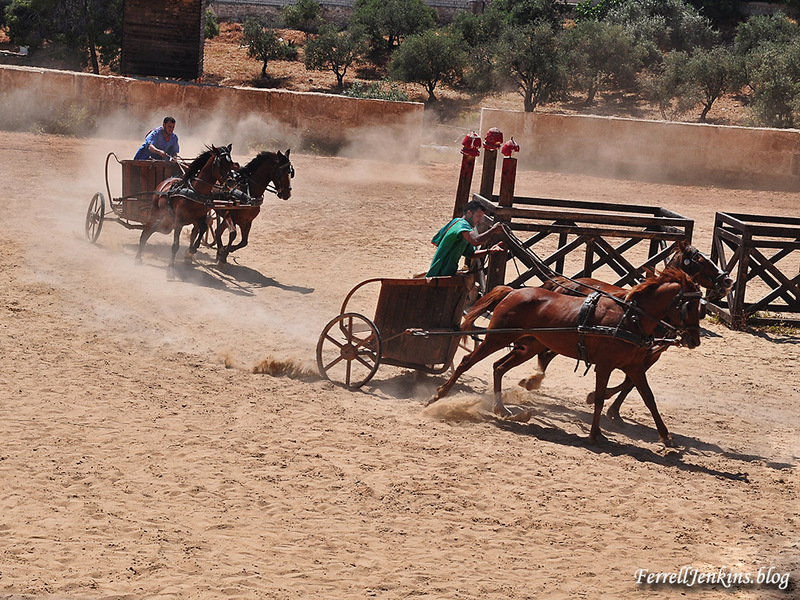 The chariot race, part of the Roman Army Chariot Experience at Jerash, Jordan. Jerash was one of the cities of the Decapolis. Photo by Ferrell Jenkins. The Greek island of Patmos is mentioned only once in the New Testament. 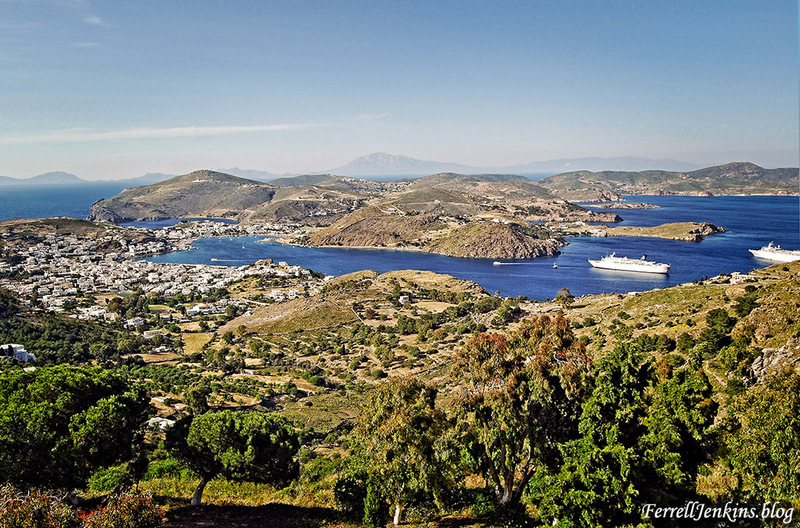 A view of the island of Patmos from Chora. Ships and other boats dock at the port of Scala. John the Apostle was exiled to this island in the last decade of the first century A.D. Photo by Ferrell Jenkins. For more information about Patmos and John’s banishment to the island see here. 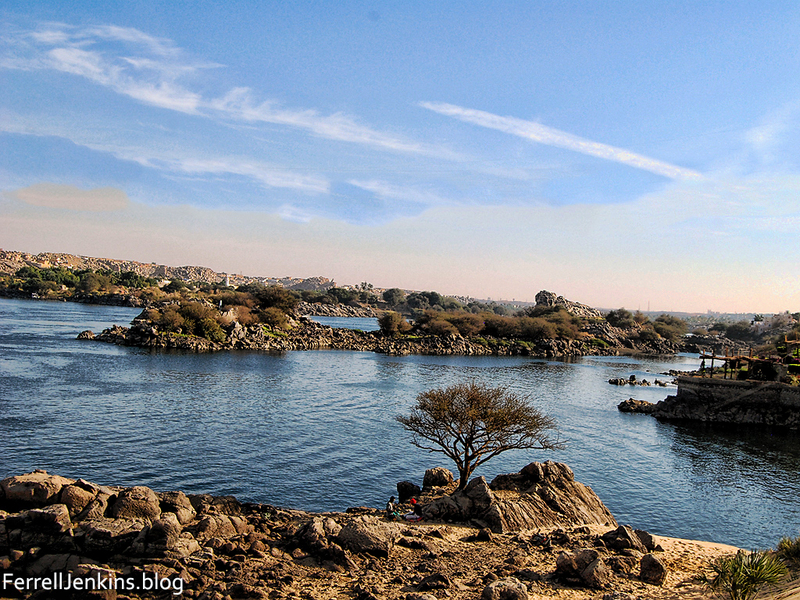 The first cataract of the Nile River is at Aswan, Egypt. Aswan is identified with Syene in Ezekiel 29:10, and with the Sinim of Isaiah 49:12. This cataract provided a natural boundary between Egypt to the north and Cush to the south. 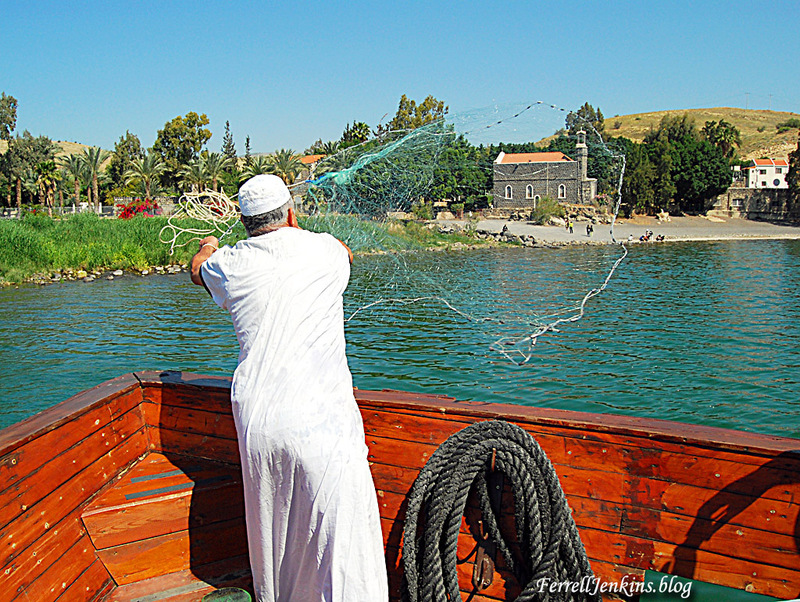 It was impossible for large boats to traverse this region of the Nile. The first cataract of the Nile River at Aswan, Egypt. Photo by Ferrell Jenkins.